Before you put your Gainesville home on the market, let’s talk about improving your home’s presentation. We know what buyers expect in your particular market and at your home’s price point. 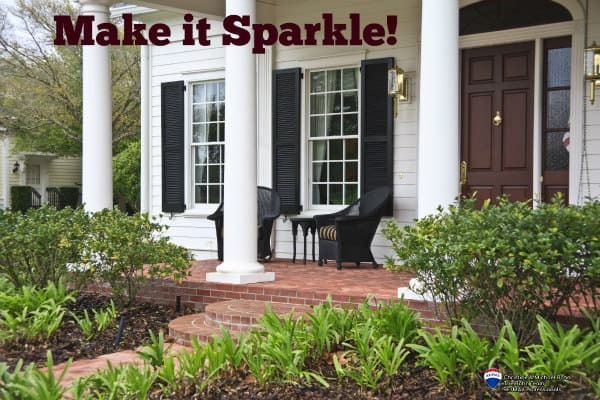 The following 10 things to do before you sell your house are good tips for improving curb appeal and a wow-factor for a buyer’s first impression when they come to see your home. 2. Make it sparkle. Cleanliness implies a home has been well taken care of, so deep cleaning can win points with buyers. Buyers scrutinize homes, especially kitchens and bathrooms. Re-caulk and repaint to give these grime-prone rooms a fresh and clean look. Clean rugs and carpets to eliminate unsightly stains or dinginess and eliminate odors. Tidy each room, including cabinets, closets and the garage, before showing. And if it seems daunting to do all that cleaning yourself, consider hiring a professional cleaning company to take care of all of it for you. 4. Paint wisely. A well-done, no-frills paint job is all you need. Put a fresh coat of paint on white or beige walls, and repaint walls that have eccentric or unconventional colors. Natural tones and spa-inspired neutral colors, such as taupe and subtle gray, are the best choices. Definitely don’t forget the trim and molding either. And a fresh paint job on outdated or worn cabinetry goes a long way, too. 9. Hide unsightly everyday items. Don’t leave children’s toys and pet belongings out in the open during showings or open houses. Move litter boxes, pet dishes, toys, animal crates and kids’ entertainment to less conspicuous areas of the home, such as an outdoor storage unit or garage before each showing or open house. Also think about where you can store things like dirty laundry and dirty kitchen sponges. 10. Don’t forget the back. Keep your backyard looking spacious and functional. Plant or pot colorful flowers and keep the landscaping trimmed and neat. Consistently pick up after your pets so buyers feel comfortable touring the yard. Check the fencing – does it need weeds or vines removed?